We start this week’s episode with profile pictures and videos for the TV series. Kindly pointed out by our lovely Bobby, hehe. I learned that biting chains, dragging hammers, bulldozers and krumping are the epitomes of manliness. YG hasn’t completely decided who is going to compete against JYP. Just like every time he evaluates them. It goes rapper line from A and B first. With Min-Ho throwing the mic to Seung-Hoon at the end. Seung-Hoon barely catching but exclaims, “I got it!” after successfully catching him, and makes everyone in the room laugh. B.I. and Bobby rap with their usual, awesome swag. Team A vocal line sing Love Song by Big Bang, which I thought they did a good job, but YG seems to differ. Team B vocal line sings Forget You by CeeLo (keeping it PG). They are too adorable! Practice time continues. 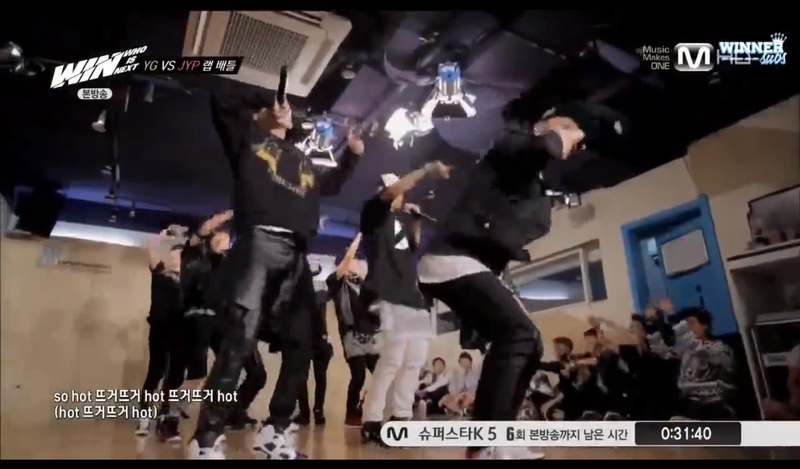 Team A and B’s rap line decided to make an alliance and perform together. I’m so effin’ excited for this. It’s going to be HOT! 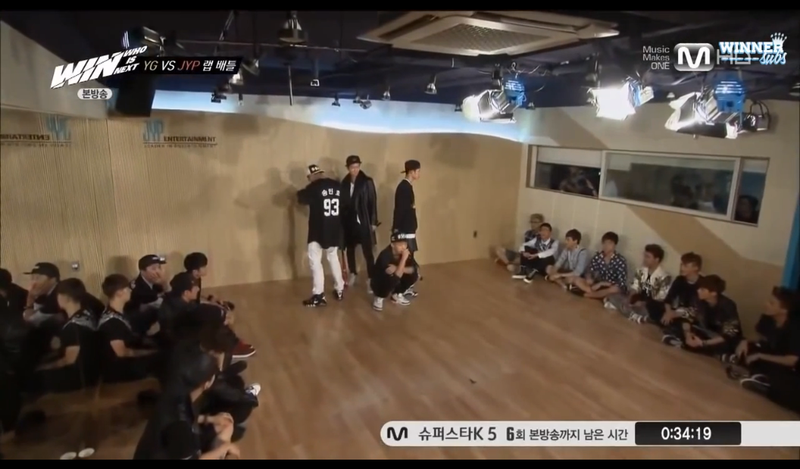 Team B practices their song again because YG absolutely loves them. Jin-Hwan adding JYP in a whisper after finishing is exactly the reason why I love this boy. 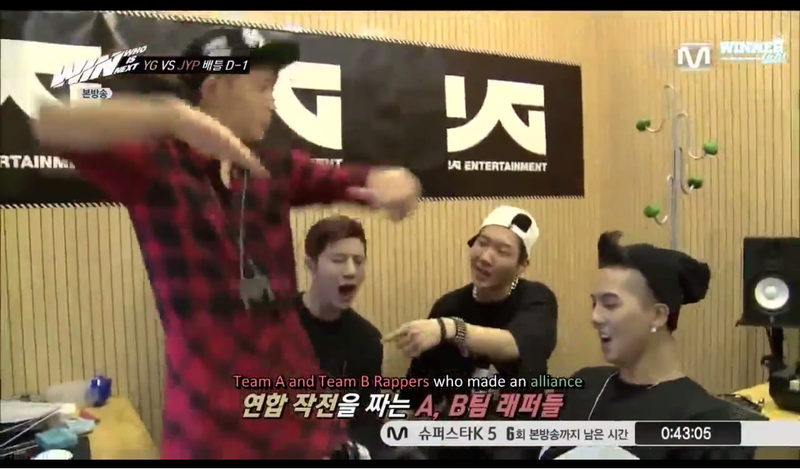 Team A, on the other hand, decides to change their song and does a mashup of Big Bang’s “Baby Goodnight” and JYP’s “I have a Girlfriend”. Seung-Yoon has had many traumatic experiences with JYP, so he has a lot to prove. On the way to JYP. 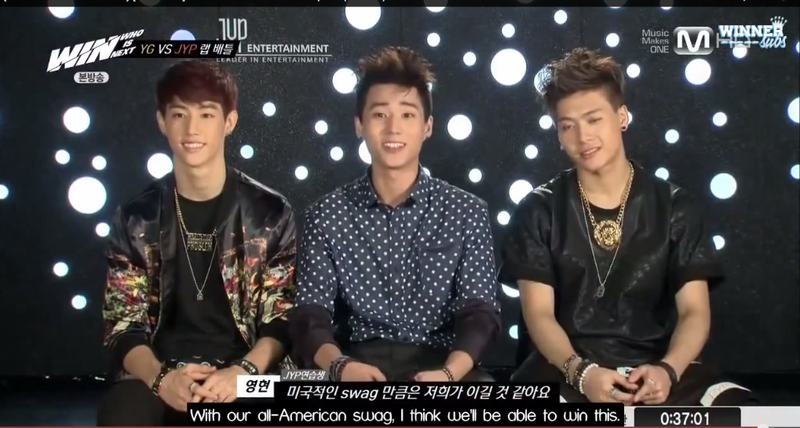 They get to the room and Team JYP is clearly a little more excited about this competition. Team YG gets everyone up and moving. 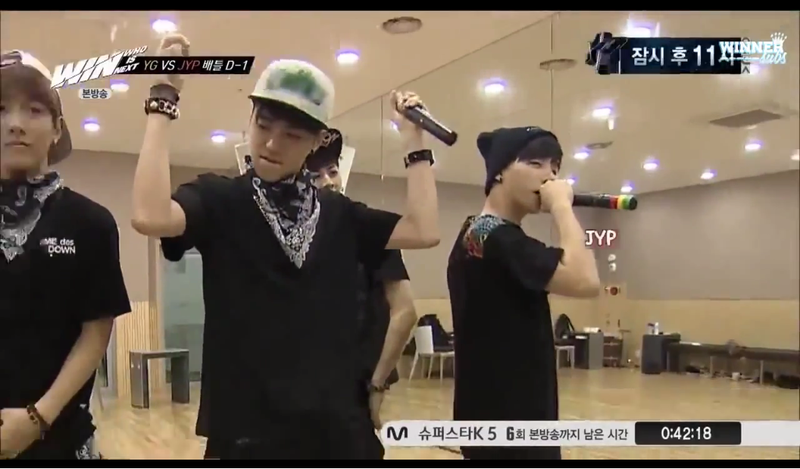 Team JYP: They have a guy named Bam Bam and he is ADORABLE! 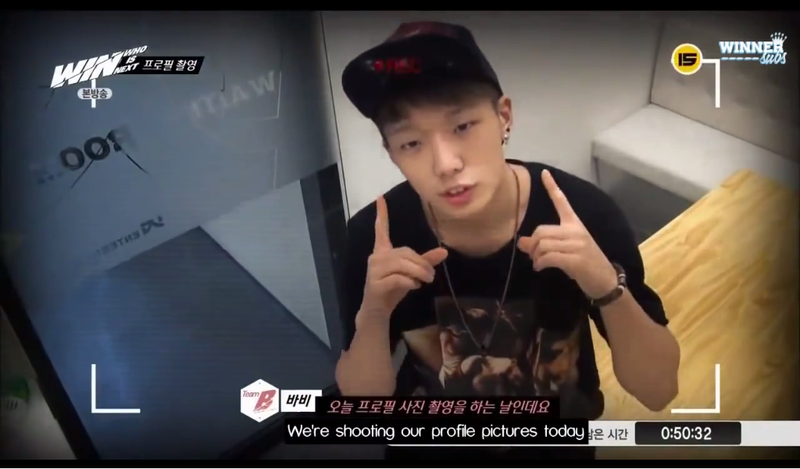 Team YG sends out Team B. Team JYP: PARK JAE HYUNG!!! Just warning you guys, I might be slightly biased. Team YG can’t decide whether to send Team A or B. so he lets the JYP trainees decide. They want to see Team A. Not going to lie, I couldn’t watch this part because I read the comments before watching it and my heart wasn’t prepared for it. Jin-Woo, who wasn’t familiar with the JYP song, forgets the lyrics in the beginning. Seung-Yoon, thankfully, catches on and covers for him and saves the performance. YG gets really angry (behind the scenes). Poor baby. I just want to give him a big hug. I feel like he’s having the hardest time in this competition because he’s seen so much and been through so much. I just wished that we could have seen more love for him in this episode. It would have been nice to see his teammates comforting him or even Team B comforting him. JYP! JYP! JYP! Team JYP for the win. I’ll tell you why I really liked Team JYP. In the first rap battle, YG claims that he thought that YG won. I would like to argue that Team JYP did better. Personally, I grooved a lot better to Team JYP’s rappers. I was super impressed by the members who weren’t Korean and how well they rapped in Korean. The thing about Team YG is that they weren’t lacking in swag or talent; it’s just they came off as super arrogant. Both lyrics for Team JYP and YG, I guess, bragged about themselves, but Team JYP seemed more humble and nicer (a little odd, huh?) about it. I prefer that kind of style. 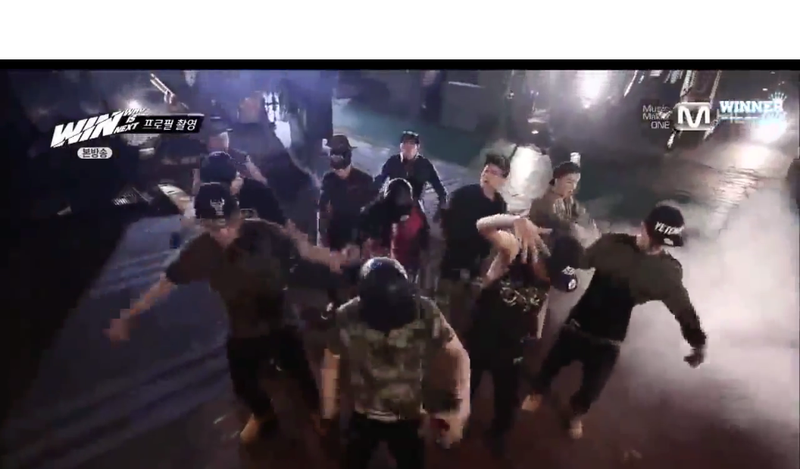 As for the dance battle, Team B did really well. They were in sync and they looked like they knew what they were doing. 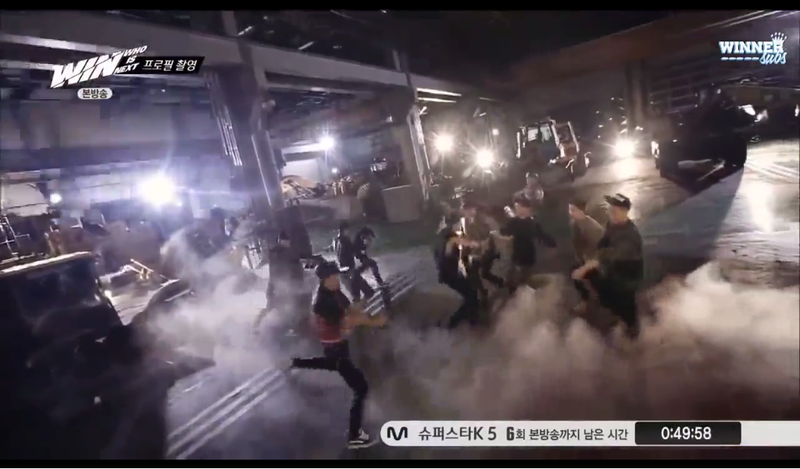 It’s just that Team JYP looked similar and their dance moves excited me more than Team B. Plus, they aren’t even a real team. Their team was composed of their dancers. They’re good when they aren’t in a set team, imagine what it’s going to be like when they are. 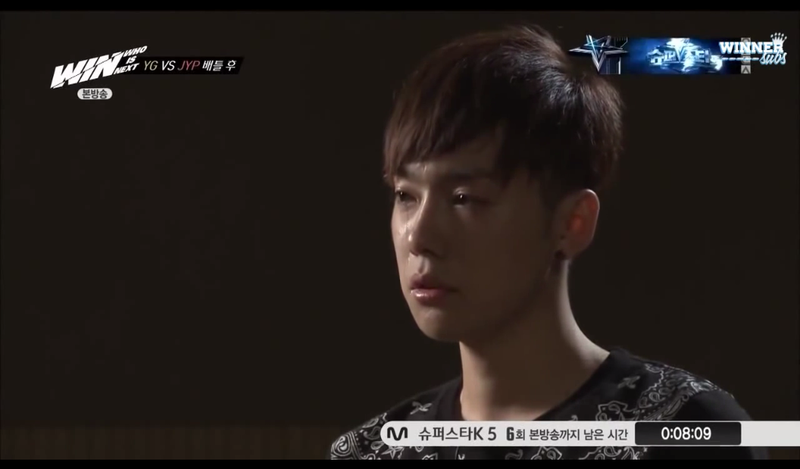 I’m not saying that Team YG was bad because Jin-Woo forget the lyrics. Team JYP had better vocalists in my opinion. I really liked the guy of the far right playing the keyboard guitar thing (sorry guys, not an expert in musical instruments). When the guy playing the keyboard and the guy sitting on the box (once again, sorry) sang together they sounded so good. Plus, Park Jae-Hyung and his rapping. Wtf was that? It was so unexpected and awesome. 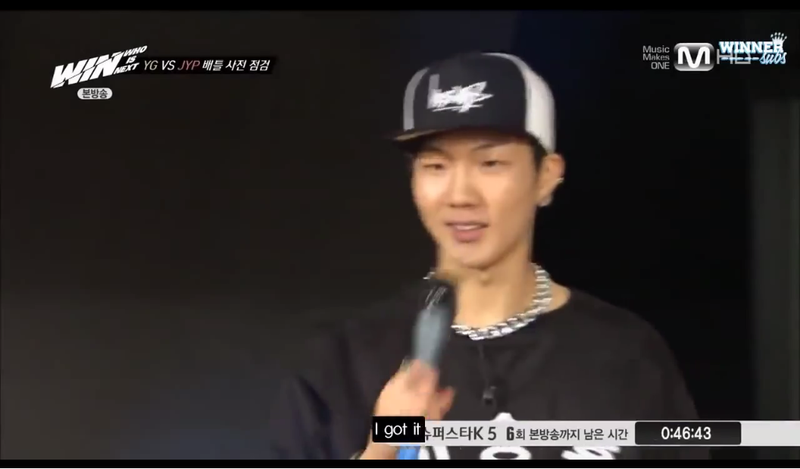 Did anybody else catch him looking at Lee Seung-Hoon while he was rapping? K-pop star love right there. Though, they could have done just as well without the other guy rapping. Just a small criticism. 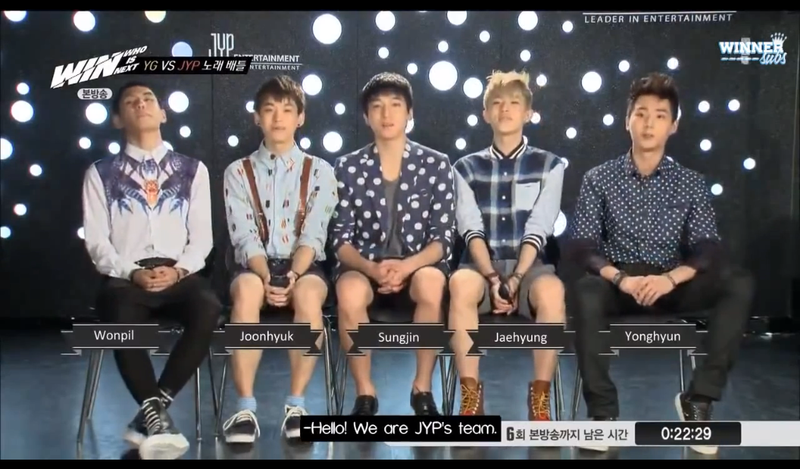 When YG asked JYP who he liked more, he said that he felt more affectionate towards Team A. But if he wanted a group to invest in now, Team B would be his choice. I think is his opinion is advantageous to Team A. Assuming that JYP didn’t know that Team A has been losing lately and he doesn’t know any of their situations, we can assume that his heart and feels are for Team A. Just like how a relationship starts, it starts with affection, infatuation, and curiosity. If a relationship goes well, then it grows into real love. And then most likely this kind of relationship will last a long time. Which is better in the long run. Don’t think of this in a creepy way, we’re not talking about sasaeng fan level. What do you guys think? Do you think that it’s advantageous for them or not? Or am I just being crazy? Anyways, who’s excited for the G-Dragon vs. Taeyang showdown? I know I am.